Did u reelee fink dem wud?! Conga 🐭🐭🐭 awn ur nawt sekond! Ai hadz ohai hoeps tehy wuld. 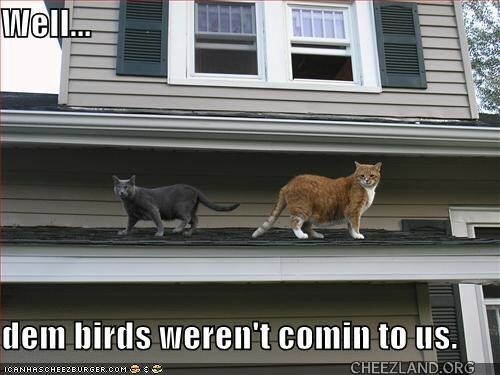 Gray kitteh can hunkur down an preten to be shinglols – ornij kitteh not so musch. Mebbeh can preten to be leeves from tree?